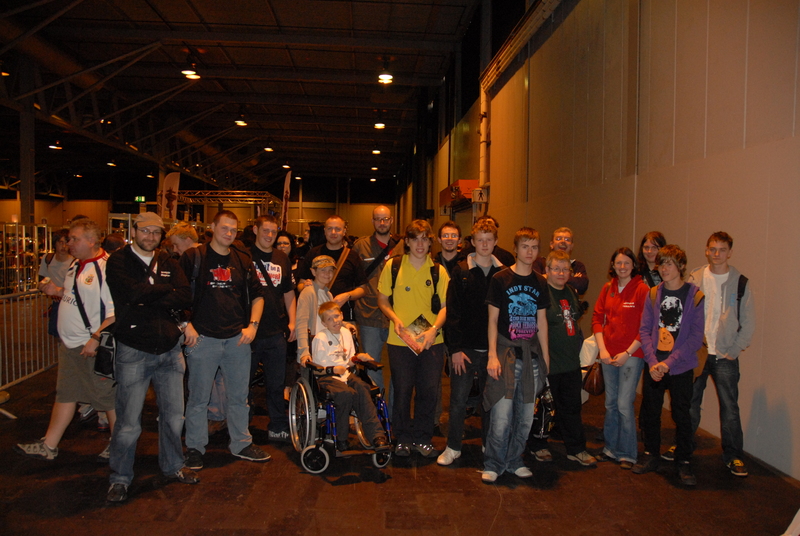 At Games Day UK this year we arranged for a quick Sheffield Irregulars meet up, and a good bunch showed up for it. If you didn’t – grrr…. It was nice to shake hands with some folk we’ve only spoken to online before. The group photo was taken by Paul Edeson and we’re very grateful to him for taking it. This entry was posted on October 2, 2009 at 12:18 pm and is filed under Shows and Events. You can follow any responses to this entry through the RSS 2.0 feed. You can skip to the end and leave a response. Pinging is currently not allowed. you weren’t all wearing red jumpers! gah! I was looking for you all but couldn’t see anyone. in hindsight I see a few faces there that I saw at Games Day but don’t know. ah well. the meet-up was at 12:30 anyway, I was having lunch with Dan Abnett and Nik. never mind! Not to worry – sounds like you had fun anyway. Lunch with Dan Abnett is good excuse!